The obvious beauty of the operating system is that it comes built into a growing number of television sets. Sony has long been using Android TV as its onboard software of choice, and we’re seeing the likes of TCL and Sharp join as well. And if you’re TV doesn’t have Android built in there’s also the set-top route. Our favorite is still the Nvidia Shield, a superior set-top box that offers support for 4K playback plus a whole host of additional gaming options on top of Android TV – like the GeForce Now game streaming platform. All we’re really missing is a set-top box or dongle from Google itself – perhaps a Chromecast with Android TV on board is something that’s being worked in deep in the bowels of Google’s hardware department. It would certainly add to the appeal of the platform if there were more boxes besides the excellent Nvidia Shield to pick from. Google Assistant took its time to get to Android TV, but it’s here now, and it makes a big difference – especially as there’s no mouse and keyboard on a TV. 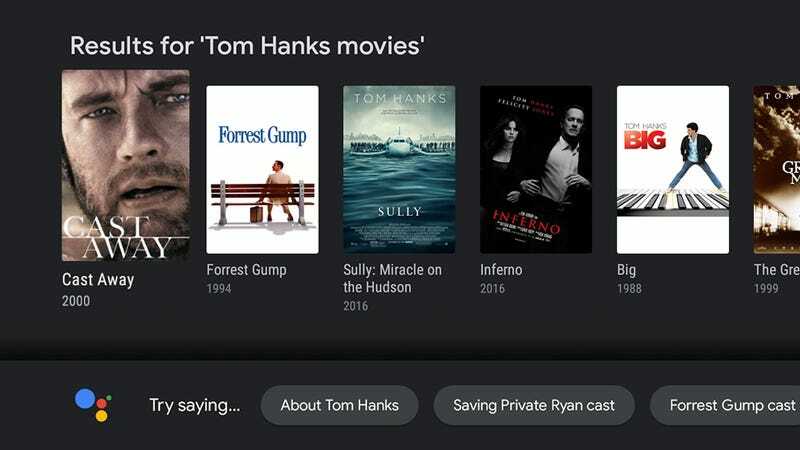 You can use Google Assistant to find something to watch or listen to, for example: Speak out the name of a song or movie, or “Tom Hanks movies”, or “comedies from the 1990s”, or “play some rock music”, and so on. 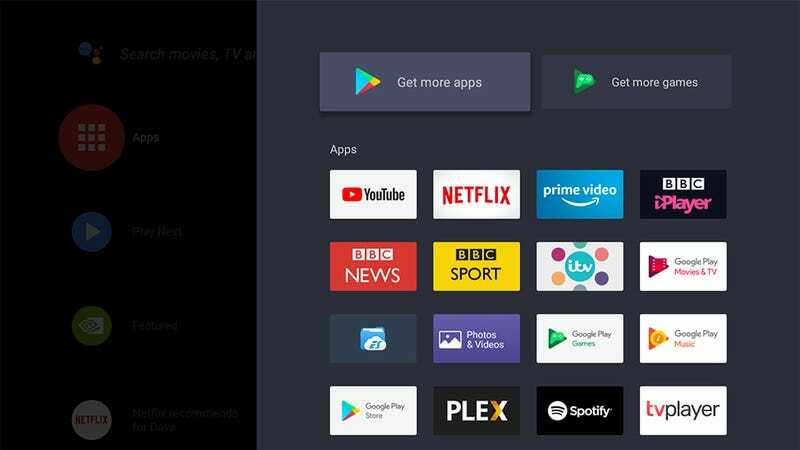 Pretty much all the major music and video apps you are going to need have found their way to Android TV now. YouTube of course, and Google Play Movies &amp; TV, plus the likes of Plex, Netflix, Hulu, HBO Now, Showtime Anytime, Disney, VLC Player, Kodi, Twitch, Amazon Prime Video, and more. Plus, Spotify has an official Android TV app, but not an Apple TV app at the time of writing. 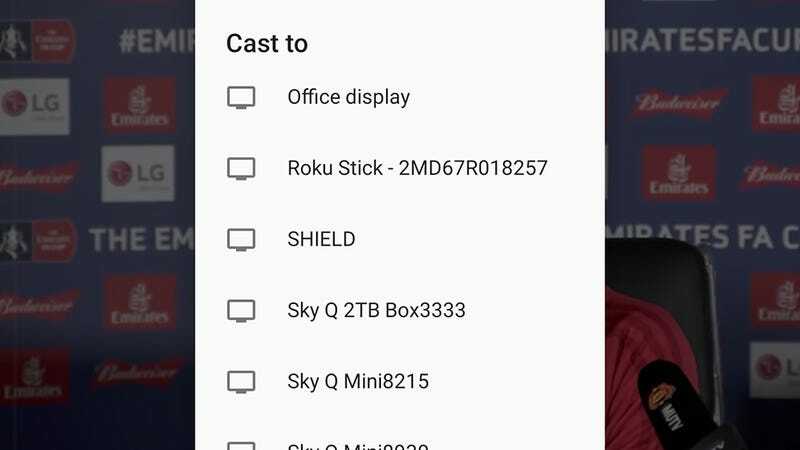 A lot of the other apps you might be used to on your Android phone aren’t available on Android TV right now, but don’t forget this is Android – apps can be sideloaded easily enough, whether that’s through a USB stick or SD card, or through a third-party app (ES File Explorer and X-plore File Manager are recommended). Just about anything on Android devices can be loaded on an Android TV, even if it doesn’t work all that well. Google Photos is a big omission at the moment, though you can Chromecast your pictures instead. 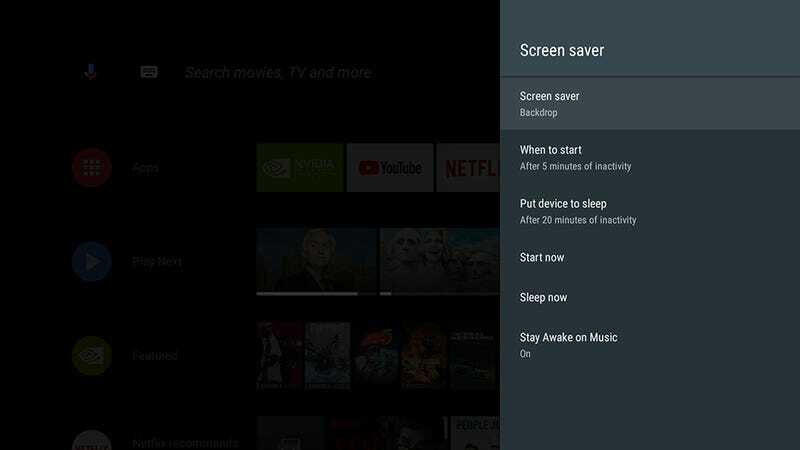 However most of the apps that actually make sense for a big screen have official Android TV options available – including a wide range of emulators for older consoles like the NES, Sega Genesis, and even the Sony Playstation. Android TV took a while to find its feet but it’s now polished enough for the average user to be able to get to grips with as well as advanced enough to satisfy a more tech-savvy crowd as well – whether that involves installing a remote control app on your smartphone or sideloading apps as we mentioned above.